In 1960, less than two years after having overthrown the Batista dictatorship, the Cuban Revolution was well on its way to implementing the Soviet model. Most people at that time still supported the revolution. Notwithstanding the recurring shortages of consumer goods and the housing crisis, most Cubans had benefited from the newly established welfare state, which insured an austere but secure standard of living. Buoyed by that support and by the people’s enthusiastic response to its resistance to US imperialism, the Cuban leadership pursued its foreign-policy objectives with a revolutionary elan absent in the more cautious and conservative Soviet bloc. Cuba displayed its anti-imperialism with particular vigor in Latin America, where it supported — and often organized — guerrilla groups set on overthrowing dictatorial governments. Fidel Castro’s government devoted extra attention to countries that had severed their ties with Cuba following Washington’s directives. That is, Castro’s militant foreign policy was based not only on its revolutionary ideas also but on the Cuban state’s interests. This helps explain why Castro maintained friendly relations with corrupt and authoritarian Mexico, the only Latin American country that refused to break diplomatic relations with revolutionary Cuba. In fact, Castro’s government abstained from criticizing Mexico’s crimes, including the October 1968 Tlatelolco massacre. Granma, the official organ of the Cuban Communist Party, adopted a purely “objective” journalistic posture when covering Tlatelolco, allowing it to avoid any critical analysis of the political actors behind the massacre. While the Mexican left was denouncing the murder of hundreds of demonstrators, Granma uncritically reported the “provisional” figures provided by the “official sources”: just thirty dead, fifty-three seriously injured, and fifteen hundred arrested. Reasons of state also explain why, after a rough start, Fidel established friendly relations with Franco’s dictatorship and why the Cuban revolutionary hierarchy, from its official unions and student organizations all the way to the top, did not support the French May ‘68 movement. Not only did French President de Gaulle refuse to toe the US line against Cuba, but he had also agreed to continue trade, which had became of crucial importance to the island following the American blockade. As with Tlatelolco in Mexico, Granma limited itself to “objectively” reporting the events of May ‘68. It strictly avoided making any political inferences or conclusions. Despite these contradictions, Castro’s early foreign policy was governed by a set of revolutionary ideas that aimed to establish systems similar to Cuba’s across Latin America. His government supported and organized foco groups on the top-down Cuban model, which produced acrimonious conflicts with the gradualist and pro-Moscow Communist parties in countries like Venezuela and Bolivia. It also caused friction with the Soviet Union itself because Castro’s militancy jeopardized the long-standing agreement between the USSR and the United States, which held that the two imperialist powers and their partners would not intervene in each other’s spheres of influence. This tension came to a head in 1967, when Moscow began to significantly reduce its oil shipments to Cuba in hopes of pressuring the island into moderating its aggressive foreign policy. But Castro wasn’t swayed. He responded by denouncing the USSR’s friendly overtures to Venezuela and Colombia despite their anti-communist repression. He then refused to send a top Cuban political figure to the celebration of the fiftieth anniversary of the Russian Revolution in November 1967. And, at the celebration of the ninth anniversary of the Cuban Revolution in January 1968, he expressly, albeit diplomatically, connected Cuba’s tightened oil rations to the slowdown of Soviet delivery. The USSR then suspended its supply of military hardware and technical assistance. When conflict simmered between a reform-minded Communist government in Czechoslovakia and Moscow, many wondered what the Cuban response would be. For months, Granma published very little about Czechoslovakia, entirely ignoring the reformist Prague Spring and its impact on the international left. This changed, however, in mid-July, when the paper began covering the growing confrontation between Czechoslovakia and the USSR in depth. Most likely, Castro recognized that the key dynamics of the Czech events had shifted. Originally, protesters were calling for internal reform and democratization, which Castro would not want to have publicized on the island. (Likewise, Granmadid not cover the student movements in Poland and Yugoslavia that had taken place in March and June of that year.) But by July it had become clear that a confrontation between Czechoslovakia and the USSR was coming, one that would bring the issue of national sovereignty to the fore. US imperialist aggression made this question particularly important to Castro, and the conflict brewing between Cuba and the USSR only made the issue more urgent. Granma focused on the external USSR-Czechoslovakia conflict, excluding the internal dimension, and wrote in some detail about other Communist parties’ reactions to the developing confrontation, regardless of which side they supported. It was clear that the newspaper — and by inference Fidel Castro, his government, and the Cuban Communist Party — would not take sides. In fact, it was going out of its way to give equal space to both parties. But this all changed when Fidel, without having said a word about the conflict, came out in support of the Soviet invasion in August. 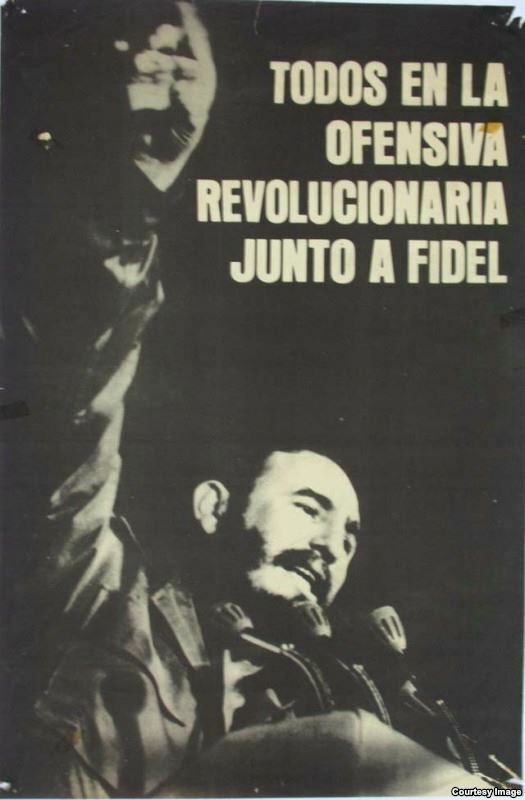 Granma immediately adopted the Soviet line and started publishing statements from Cuban mass organizations praising Fidel’s support of the invasion.Other steps, designed to appease the Soviets and incur favors, followed. 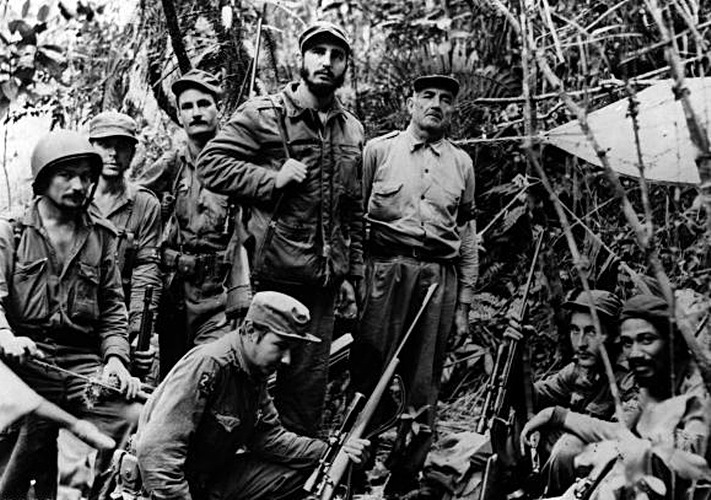 Cuba cut back on its support to Latin American guerrillas, and, in the 1970s, it carried out a rapprochement with the pro-Moscow Communist parties in the region by acknowledging that armed struggle represented only one path for revolutionary struggle. In response, these parties recognized Cuba’s vanguard role in the hemisphere’s anti-imperialist struggle. This was the beginning of what former Soviet diplomat Yuri Pavlov called the “belated honeymoon” between the USSR and Cuba, which lasted well into the 1980s. In June 1969, the Cuban representative at the International Conference of Communist Parties in Moscow joined the pro-Soviet majority in denouncing China’s “sectarian” position. In return, the Soviet Union sent a flotilla of warships to visit Cuba. An exchange of military delegations soon followed. Marshal Andrei Grechko, the Soviet defense minister, went to Havana in November 1969, and Raúl Castro, Cuba’s defense minister, traveled to Moscow in April and October 1970. The flow of Soviet arms resumed and then increased, and Fidel Castro approved the construction of a deep-water base for Soviet submarines at Cienfuegos. Mutual state visits came soon after, and Cuba joined the Soviet-led Council for Mutual Economic Assistance (CMEA) in 1972. In that period, Cuba turned to Africa as the main focus of its revolutionary foreign policy. There, unlike in Latin America, it shared Moscow’s strategic interests. 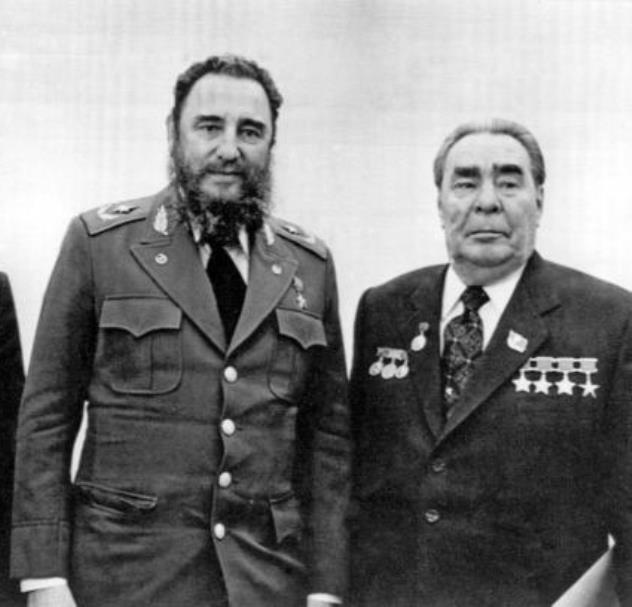 While appeasing Moscow, Castro nevertheless preserved his right to disagree with some Soviet policies, making Cuba a junior partner, rather than a satellite, of the USSR. In fact, Castro had staked out this position from the beginning. In his speech supporting the invasion of Czechoslovakia, he not only criticized Alexander Dubcek’s “liberalism” but also the USSR’s policy of peaceful coexistence with the United States. The Cuban leader sarcastically wondered if the Soviets would dispatch Warsaw Pact troops to help defend Cuba from an attack by the imperialist Yankees. That same year, Castro initiated what he called the Revolutionary Offensive, a project aimed at totally nationalizing the island’s economy. The state had already taken over large and middle-sized businesses in 1960, but family-owned operations remained in private hands. Within sixteen days of the announcement, the official press reported that 55,636 small businesses had been nationalized, including bodegas, barber shops, and thousands of timbiriches (“hole-in-the-wall” establishments). 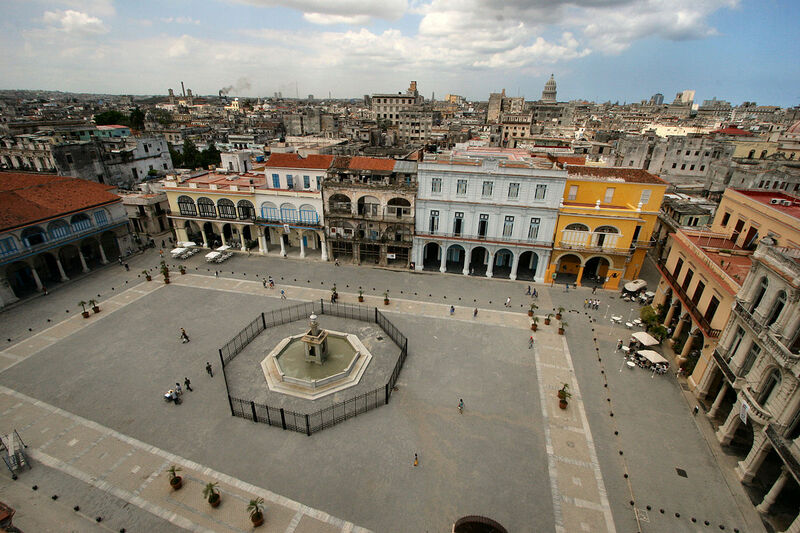 The Revolutionary Offensive gave Cuba the world’s highest proportion of nationalized property. According to Cuban economist Carmelo Mesa-Lago, some 31 percent of these small businesses were retail food outlets, and another 26 percent provided consumer services, like shoe and auto repair. Restaurant and snack shops represented another 21 percent; 17 percent sold clothing and shoes. The rest (5 percent) were small handicraft establishments that manufactured leather, wood products, and textiles. Half of these small businesses were exclusively owner- and family-operated and had no employees. Shortly after nationalization, the state closed one-third of the small enterprises. The only private activity left in Cuba was small-farm agriculture, where 150,000 farmers owned 30 percent of the land in holdings of less than 165 acres each. These campaigns began in 1963, when Castro attacked homosexuality and cultural nonconformity.. Hoping to emphasize the state’s centrality to citizens’ lives, he also went after religious dissenters, including Jehovah’s Witnesses, Catholics, and followers of the secret Afro-Cuban Abakuá society. Members of these groups were imprisoned in the Units of Military Aid to Production (UMAP), forced labor camps established in 1965 and disbanded in 1968. The Revolutionary Offensive’s nationalization of all small businesses was also intended to provide the state with complete control over agricultural output. 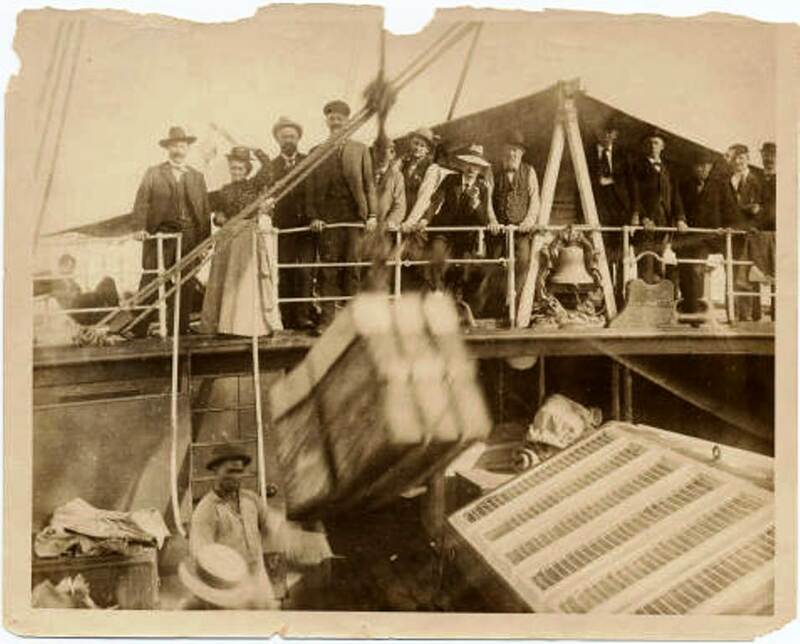 Many of the expropriated merchants bought farm products at high prices, reducing the amount available for the state. In addition, it granted the state more power over the labor force. Absenteeism and job abandonment, generated by the lack of consumer goods, had become a major problem. 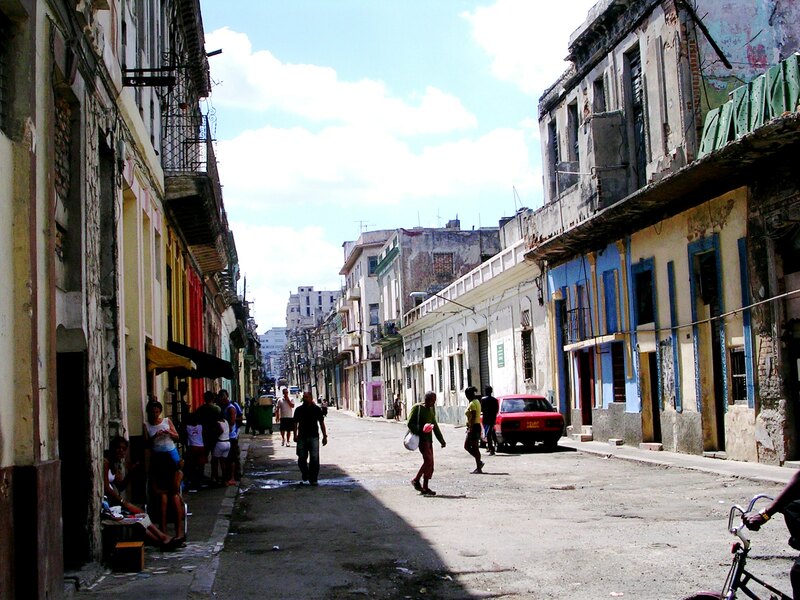 To combat it, the Cuban leadership drafted a law against vagrancy, which it enacted on March 28, 1971. The legislation ordered all adult men to put in a full day’s work and established a variety of punishments ranging from house arrest to internment in forced labor rehabilitation centers. Information regarding its enforcement is unknown. The Revolutionary Offensive exemplifies Castro’s super-voluntarist, “idealist” approach to socialization. The policy equated private property in general with capitalist private property in particular, a misreading of Friedrich Engels’sSocialism: Utopian and Scientific. There, Engels distinguished modern capitalism, in which individual capitalists appropriate the products of social and collective activity, from socialism, where both production and its appropriation are socialized. Accordingly, productive property involving collective work is the proper object of socialization, not the individual or family productive unit, let alone personal property. Besides this confusion, the Cuban government was in no position to take over the distribution of goods and services from small businesses — the nationalization program reinforced, instead of ameliorated, the shortage of consumer goods. The Ten Million Ton Sugar Crop campaign, planned for January 1969 to July 1970, is another example of Castro’s voluntarist orientation. This extravagant effort never achieved its goal. Instead, it diverted scarce production and transportation inputs, causing serious disruptions to the island’s economy. Likewise, as Mesa-Lago pointed out, Castro used the Revolutionary Offensive to mobilize as much of the labor force as possible for production, particularly in agriculture, in order to reinforce labor discipline, save inputs, and exhort workers to increase productivity and do unpaid work. In April 1968, the official union confederation recruited a quarter of a million workers to perform farm labor without pay for twelve hours per day over three to four weeks. Some 2.5 million days were “donated” by workers who spent fourteen weeks on coffee plantations. These campaigns were all launched in response to that decade’s economic crisis, one that became qualitatively worse with the criminal economic blockade established by the United States in the early sixties. But the bureaucratic and chaotic top-down administration of the economy generated that crisis. As Andrés Vilariño, a Cuban government economist pointed out, investment inefficiency was one of the principal causes of declining economic productivity in the sixties. 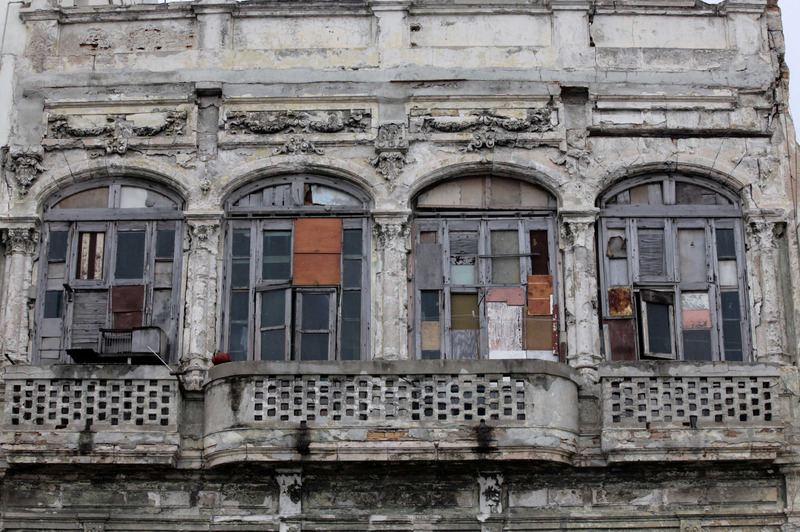 For example, expensive imported machinery sat in warehouses and ports for so long, most of it rusted over. Meanwhile, the inadequate supply of consumer goods, combined with the lack of worker control of the production process and the absence of independent unions, engendered a sense of apathy among Cuban workers. The lack of transparency in decision making, not to mention the inaccurate economic information coming from a lower management class fearful of reprisals for reporting bad news, produced bad planning and waste, often aggravated by Fidel Castro’s capricious interventions and micromanagement. In one telling case, he tried to introduce a new breed of cattle, the F1 hybrid, against the advice of British experts that he himself had brought to Cuba. The project wasted millions of dollars. In 1968, Castro shifted the repression already being deployed on his government’s enemies (even critics from the pro-revolutionary left). First, the government eliminated some of the most excessive forms of punishment, closing, for example, the UMAP agricultural labor camps. Second, government policing efforts zeroed in on any political and cultural expression that deviated from the official party line. A case in point was the old Communist leader Aníbal Escalante. In 1962, he was purged from the government and party and then jailed for his sectarian attempt to accumulate power by excluding revolutionaries who did not belong to the old pro-Moscow Communist Party from government positions. In 1968, he was again purged and jailed, this time on charges of having formed a “micro-faction” within the Cuban Communist Party critical of Castro’s economic policies. He was also accused of meeting with Eastern European diplomats in order to gain their support. For Fidel — and his brother Raúl, assigned to officially charge Escalante — this “micro-faction” jeopardized their efforts to impose a single line in the party. The affair demonstrates the disproportion between the supposed offense and the punishment. Not only were many of Escalante’s criticisms of Castro’s economic policies correct — especially with regard to the disastrous ten million ton sugar-crop campaign — but no evidence ever indicated that Escalante and his small group were conspiring to remove or overthrow the Cuban government with or without the support of Eastern European diplomats. The group may have been “unpatriotic,” as the government charged, but its activities were peaceful and therefore subject to public political debate. Instead, the regime, following the Stalinist tradition, turned it into a criminal case. Castro had thirty-five of the thirty-seven members of Escalante’s group tried by a so-called War Council (Consejo de Guerra), which the government assembled specially to impose stiff sentences. Escalante was sentenced to fifteen years in prison, and thirty-four of his associates were sentenced to terms ranging from one to twelve years. The two remaining members belonged to the armed forces and were therefore referred to the Revolutionary Armed Forces’ prosecutor for processing. By adopting these separate paths, the government implicitly recognized most of Escalante’s group as civilians, who were supposed to be processed differently from, and under less onerous rules than, the military. Despite this implicit difference, they faced a War Council, where they earned harsher sentences than they might have received otherwise. Castro also turned his attention to Cuban dissenters in the cultural realm. In January, 1968, the government opened the Havana Cultural Congress, inviting more than five hundred intellectuals from seventy countries to attend, including prominent left-wing social scientists and historians such as Ralph Miliband and E. J. Hobsbawm, well-known Caribbean and Latin American literary figures like Aimé Cesaire, Julio Cortázar, and Mario Benedetti, famous European writers such as Michel Leiris, Jorge Semprún, and Arnold Wesker, as well as left-wing politicos such as several leaders of the North American SDS and SNCC. The congress, which focused on the topic of political, economic, and cultural anti-imperialism, was ostensibly carried out in an open manner. According to independent observers, all the presentations and resolutions that participants proposed were included without any interference. Thanks to this apparent openness, neither the foreign guests nor many of the invited Cuban intellectuals suspected that an important group of black Cuban intellectuals and artists — among them Rogelio Martínez Furé, Nancy Morejón, Sara Gómez, Pedro Pérez-Sarduy, Nicolás Guillén Landrián, and Walterio Carbonell — had been excluded. 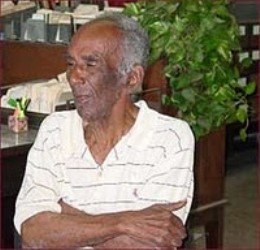 According to the Black Cuban author Carlos Moore, the group had been meeting to discuss the Cuban government’s lack of action against racism, a problem that the revolutionary leaders claimed to have solved with the abolition of racial segregation in the early sixties. In response to a rumor that these intellectuals had drafted a position paper on race and culture in Cuba for the congress, Minister of Education José Llanusa Gobel called them in for a private meeting a couple of days before the event began. After listening to their critiques, Llanusa accused them of being “seditious” and told them that the “revolution” would not allow them to “divide” the Cuban people along racial lines. He explained that the very idea of their “black manifesto” was a provocation for which they would have to recant or face the consequences. He then barred them from the congress. In addition, each member was subjected to various degrees of punishment. The worst was meted to those unwilling to recant, such as Nicolás Guillén Landrián, the nephew of the national poet laureate and then-president of the Cuban writers and artists union. After the congress, he was repeatedly arrested and later left Cuba as an exile. Walterio Carbonell, one of the group’s leaders, also refused to recant. A Cuban exponent of Black Power politics, he had originally belonged to the old pro-Moscow Cuban Communist Party. Ironically, he had been expelled from that organization for supporting Fidel Castro’s attack on the Moncada barracks on July 26, 1953. After the revolution, he served as Cuba’s ambassador to the Algerian National Liberation Front (FLN). In 1961, he published his Critique: How Cuba’s National Culture Emerged, where he argued that black Cubans had played a major role in the war of independence and the establishment of the republic — a fact that the prerevolutionary white racist culture and institutions had erased. Moreover, he claimed that the black Cuban experience was at the heart of the Cuban Revolution’s radicalism — accordingly, the struggle against racism strengthened rather than weakened the revolution. Thanks to these arguments, Carbonell endured various forms of detention between 1968 and 1974, including compulsory labor. According to Lillian Guerra, after he was released in 1974, he continued to defend his ideas, so he was interned in various psychiatric hospitals and subjected to electroshock and drug therapy for another two to three years. After that, Carbonell spent his remaining years as a little-known researcher at the National Library. Unlike Carbonell’s cases, the repression case of Cuban poet and journalist Heberto Padilla became well known very quickly. 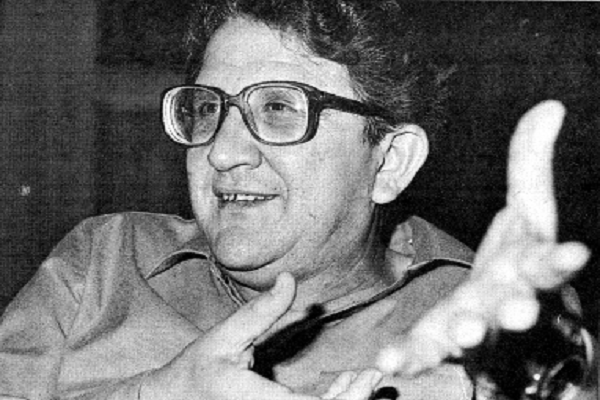 In 1968, Padilla won was awarded the National Union of Writers and Artists of Cuba’s (UNEAC) most prestigious prize for his book of poems Fuera del Juego (Outside the Game). But the government objected to Padilla’s critical, nonconformist spirit and condemned the work, forcing UNEAC to change its line on it as well. Ostracized and unable to publish in Cuba, Padilla was arrested for daring to read several of his new poems in public and trying to publish a new novel. He was compelled to confess, in Stalinist fashion, his political sins in 1971. This provoked an international scandal, and a large group of well-known intellectuals sympathetic to the Cuban Revolution, such as Jean-Paul Sartre and Julio Cortazar, protested. In response, the regime banned and withdrew from the country’s libraries the works of any Latin American and European intellectual who objected to Padilla’s treatment. In 1968, the government began using repressive to enforce a monolithic cultural line. This shift created the foundation of what was later called the Quinquenio Gris, the five-year period from 1971 to 1976 in which the Castro regime brutally repressed nonconformist expression. In 1971, the National Congress of Education and Culture viciously attacked gay artists and intellectuals, banned gays from representing Cuba abroad in artistic, political, and diplomatic missions, and branded the Afro-Cuban Abakuá brotherhood a “focus of criminality” and “juvenile delinquency.” Over those five years, the government imposed “parameters” on professionals in the fields of education and culture in order to scrutinize their sexual preferences, religious practices, and relationships with people abroad, among other political and personal issues. The late Cuban architect Mario Coyula Cowley insisted that the Quinquenio Grishad in fact been the Trinquenio Amargo (the “bitter fifteen years”), because it had really started in the second half of the sixties. The hope that Castro would have supported Czech national self-determination and the upheavals of revolutionary 1968 to chart an independent, more democratic course for the Cuban Revolution was quickly lost. The embargo against Cuba is the oldest and most comprehensive U.S. economic sanctions regime against any country in the world. It comprises a complex patchwork of laws and presidential determinations imposed over half a century. Presidents have tightened or relaxed it to suit their own strategy—some seeking to punish the Cuban regime by economic pressure, other seeking to improve relations by resorting to soft power rather than hard. The impact of U.S. sanctions has also varied, at times inflicting serious harm on the Cuban economy, and at times being merely as an expensive annoyance. But the embargo has never been effective at forcing Cuba’s revolutionary regime out of power or bending it to Washington’s will. CUBA’S CHALLENGE: WHAT DID THE CUBAN REVOLUTION ACCOMPLISH AND WHERE CAN IT GO FROM HERE? Samuel Farber was born and raised in Cuba. 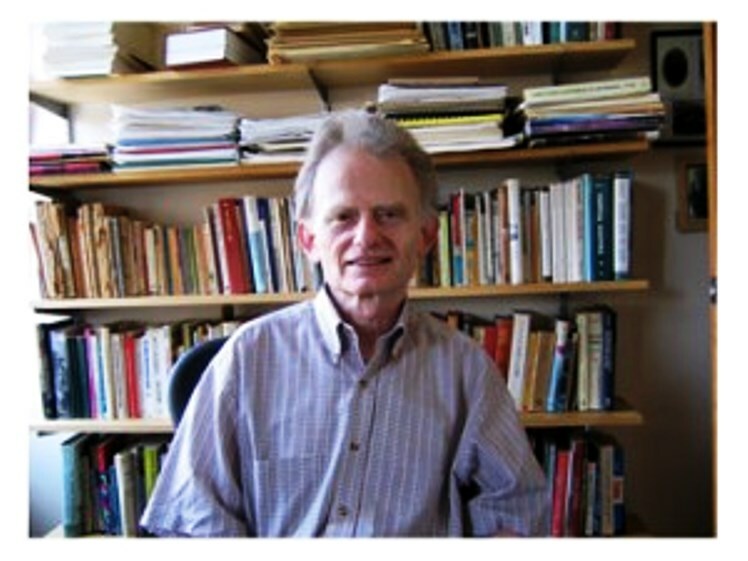 He is the author of Cuba Since the Revolution of 1959: A Critical Assessment. When in the 1950s, along with many of my high school classmates, I became involved in the struggle against Cuban dictator Fulgencio Batista, one of our teachers remarked that we had no real reason to criticize the state of our country because so many other nations in the region — such as Bolivia and Haiti — were much worse off than us. His description of Cuba’s comparative position was accurate, but incomplete. On the eve of the 1959 Revolution, Cuba had the fourth highest per capita income in Latin America, after Venezuela, Uruguay, and Argentina. And although average per capita income is an insufficient, and sometimes misleading, indicator of general economic development, other indicators support his picture of the pre-revolutionary Cuban economy: in 1953, Cuba also ranked fourth in Latin America according to an average of twelve indexes covering such items as percentage of labor force employed in mining, manufacturing, and construction, percentage of literate persons, per capita electric power, newsprint, and caloric food consumption. Yet, at that time the country’s economy was also suffering from stagnation and the pernicious effects of sugar monoculture, including substantial unemployment (partly caused by the short sugar cane season of three or four months). Most importantly, the national indexes of living standards hid dramatic differences between the urban (57 percent of the population in 1953) and rural areas (43 percent), especially between Havana (21 percent of Cuba’s total population) and the rest of the country. The Cuban countryside was plagued by malnutrition, widespread poverty, poor health, and lack of education. For my teacher, it seems, the fact that other people were worse off made him more accepting of his own life circumstances. But he was the exception. To the extent that Cubans compared themselves with the people of other countries, they preferred to look up to the much higher standard of living of the United States rather than console themselves by looking down at the greater misery of their Latin American brethren. This underlines the fundamental mistake of assuming instead of ascertaining that comparisons of economic performance have any meaning to the people who live in those economies. Taken to an extreme, this mistake leads to an “objectivist” analysis that stands outside history as it is actually lived by its actors and is likely, as in the case of my high school teacher, to result in a conservative commitment to the existing social order, as opposed to a questioning of, or opposition to, the existing social order and its ruling group. For those who are affected by it, economic development has a meaning that goes beyond economic data and requires an understanding of popular aspirations and expectations, which are based in part on the existing material reality and in part on past history. In terms of its material reality, the Cuba of the fifties was on the one hand characterized by uneven modernity, fairly advanced means of communication and transportation — especially the high circulation, by Latin American standards, of newspapers and magazines — and the rapid development of television and radio. On the other hand, there were abysmal living conditions in the Cuban countryside. As far as its history, the Cuba of the 1950s was still living the effects of the frustrated revolution of 1933, a nationalist revolution against dictatorship with an important anti-imperialist component and the participation of an incipient labor movement, then under Communist leadership. Although this revolution had achieved some significant reforms equivalent in the Cuban context to Franklin Roosevelt’s New Deal, it failed to achieve major structural changes in Cuban society, such as real national political and economic independence from US imperialism (beyond the abolition of the Platt Amendment in 1934) or any meaningful agrarian reform and diversification away from the one-crop sugar economy with all it implied in terms of economic instability, large-scale unemployment, and poverty. These were the economic issues brandished by the Cuban opposition at that time to struggle for more or less radical reforms to the existing order, instead of pondering and celebrating Cuba’s comparative high rank among Latin American economies. Thus Eduardo Chibás, the leader of the reform Ortodoxo Party, of which Fidel Castro was a secondary leader, proposed in 1948 a series of modest reforms to improve the life of the Cuban rural population. Five years later, after Batista’s coup against the constitutional government, Castro — in his “History Will Absolve Me” speech at his trial for his failed attack against one of Batista’s military installations — proposed a more radical series of measures, including giving property titles to peasants holding up to 165 acres of land, with compensation granted to landlords on the basis of the average income they would have received over a ten-year period. He also added new elements to his reform agenda, such as his radical plan for the employees of all large industrial, mercantile, or mining concerns, including sugar mills, to receive 30 percent of profits. Immediately after the victory of January 1, 1959, in response to many Cubans’ pent-up expectations, Castro’s revolutionary government engaged in a vigorous policy of redistribution. There was an urban reform law to substantially reduce rents, a left-Keynesian policy of public works to combat unemployment, and a radical, albeit not a collectivist, agrarian reform law proclaimed in May 1959. Then, in late 1960, in part in response to the hostility of US imperialism and in part based on the political inclinations of the revolutionary leaders, the large majority of both urban and rural property was nationalized by the Cuban state. In April 1961, Castro declared Cuba to be “socialist,” and it became, in structural and institutional terms, a replica of the model in the Soviet Union and Eastern Europe. Although Cuba’s one-party state placed more emphasis on popular participation than its equivalents in the Eastern Bloc, its political control was before long just as absolute. Like the supporters of the Cuban status quo before the revolution, the supporters of today’s Cuban system assert that it is economically superior to other countries, particularly in Latin America. In terms of GDP — which, as previously mentioned, is not by itself a reliable indicator of economic well-being, although the Cuban government relies on it in a modified form — Cuba has fared poorly in comparison with its neighbors. Whereas in 1950 Cuba ranked tenth in per capita GDP among the forty-seven countries in Latin America and the Caribbean, almost sixty years later, in 2006, it ranked near the bottom of the list, only ahead of Haiti, Honduras, Nicaragua, Bolivia, El Salvador, and Paraguay. GDP has increased little since then with a 2 percent average rate of growth in the last five years. The government’s supporters point to Cuba’s achievements in education and health (in particular, its low infant mortality) as conclusive evidence for its more progressive economic policies. And indeed Cuba has performed very well in the Human Development Index (HDI), which combines income, health, and education statistics. But while this index does a good job of measuring critical aspects of well-being in the less developed capitalist countries, it does not adequately capture the shape of state-socialist economies such as Cuba. It does not quantify the hardships that people suffer in countries where the economic problems of underdevelopment intersect with those particular to Soviet-style societies. Take income, for example. Unlike capitalist societies, in Cuba, access to many luxury or high-cost goods is often obtained by the ruling groups through extra-economic, in kind, political means, rather than through the expenditure of monetary income. Although this situation has become more complicated since Raúl Castro took office in 2006 and expanded private economic activity to cover approximately 25 percent of the labor force, obtaining high-end goods still depends to an important degree on political access. One example is traveling abroad. For the majority of Cubans who don’t have sufficiently wealthy relatives overseas, it is political access to state-sponsored travel — for example, officially sanctioned attendance to political, economic, cultural, or academic conferences — rather than private income that remains the principal way to venture outside the island. A similar situation exists in terms of Internet access. In Cuba — a country with one of the lowest levels of web availability in Latin America and the Caribbean — many people can connect to the Internet only at their workplace or school, but only for strictly work-related purposes. Otherwise, they run the serious risk of being reprimanded or even losing their ability to go online. Privately, they can get on the Internet by paying rates unaffordable to average Cubans, and only at tourist hotels or at the centers sponsored by the state telephone monopoly. However, free access to the Internet is the norm for those who are well-situated in terms of political power or have connections to those who do. Besides the issue of monetary income, the HDI ignores other factors that make living conditions in Cuba difficult. These include the irregular supply and quality of food, housing, toiletries, and birth control devices for women and men. The same applies to the poor state of roads, inter-urban bus and railway transport (premium transportation services exist but are costly and therefore out of the reach of most Cubans), and the delivery of basic necessities such as water, electricity, and garbage collection. The HDI does not quantify the hardships of daily life associated with these inadequacies either — for example, the amount of time people have to spend going from place to place and standing in line to obtain a wide variety of goods. Economic indexes can also be deceptive insofar as they don’t take into account the maintenance and upkeep of systems that deliver key services. Take water, for example. Viewed in one way, Cuba ranks well in that regard, with 95 percent of its population officially having access to drinking water. But serious water shortages are a normal condition of life in Cuba. This is partially due to seasonal droughts in certain regions, particularly in the eastern half of the island. But the most important cause of that shortage is the deteriorated infrastructure — broken pipes and numerous leaks — going back to well before the collapse of the Soviet bloc. For these reasons, more than half of the water pumped by the country’s aqueducts is lost, especially in the Havana metropolitan area. This is much of the daily material reality Cubans face, and it shapes their aspirations and expectations. The Cuban government and its supporters claim that most of these economic problems are the result of the criminal economic blockade of the island imposed, for more than fifty years, by the United States and which remains mostly in force despite the resumption of diplomatic relations between the two countries. There is no doubt that the embargo has been damaging, particularly in the early years of the revolution, as Cuba was forced to reorient most of its economic activity towards the Eastern Bloc. Repealing the 1996 Helms-Burton Act and ending the blockade would be a very welcome development for both principled and practical reasons. Such a move would also considerably increase economic activity in Cuba, most likely in the fields of tourism and, possibly, biotechnology and the production and export of certain types of agricultural commodities such as citrus. However, the US blockade did not prevent Cuba from trading with industrialized capitalist countries in Asia and Europe, and particularly with Canada and Spain. The principal obstacle to Cuba’s economic relations with those non-US industrial capitalist countries was Cuba’s own lack of goods to sell and thus its lack of hard currency with which to pay for imports, whether capital or consumer goods. Nevertheless, Cuba received more than $6 billion in credits and loans from many of the industrialized capitalist countries until Cuba suspended the service of these debts several years before the collapse of the Soviet bloc. More important than the damage caused by the US economic blockade is Cuba’s inadequate capital, as well as other problems typical of economically less developed countries — the export of commodities such as nickel and sugar amid unstable world prices — which in turn interact with the myriad economic shortcomings and contradictions of Soviet-style economies, including the failures of agriculture and the scarcity and poor quality of consumer goods. In truth, Cuba’s achievements and failures resemble those of the Soviet Union, China, and Vietnam before these countries took the capitalist road, suggesting that systemic similarities are more significant than national idiosyncrasies and variations on the general Soviet model. Cuba shares with the USSR what the political scientist Charles E. Lindblom called “strong thumbs, no fingers.” Having “strong thumbs” allows the government to mobilize large numbers of people to carry out homogeneous, routinized, and repetitive tasks that require little if any variation, initiative, or improvisation to adapt to specific conditions and unexpected circumstances at the local level — precisely the tasks that require subtle fingers rather than undiscriminating thumbs. This explains how a Soviet-style government can organize a massive vaccination campaign, while at the same time its bureaucratic, centralized administration and lack of “nimble fingers” prevent it from acquiring the necessary precision for timely coordination of complicated production and distribution in all economic sectors — especially agriculture, among the least homogeneous and predictable areas of the economy. Cuba’s deficiencies, particularly in the production of consumer goods, also stem to a large extent from its principal leaders’ ideological inclinations. While these leaders have clearly favored the production and delivery of certain collective goods like education and health care, they have tended to be indifferent if not hostile to goods normally consumed by individuals or families. This is rooted in a deeply ascetic strain of some leftist traditions. The most prominent and consistently austere among the revolutionary leaders was Ernesto “Che” Guevara, who as minister of industry in the early days of the revolution shaped many aspects of the Cuban economy. When serious shortages of consumer goods began to occur in Cuba in the early 1960s, Guevara spoke critically of the comforts that Cubans had surrounded themselves with in the cities, comforts which he attributed to the way of life to which imperialism had accustomed people, and not to a standard of living resulting from the relative economic development of the country and especially to the working class and popular struggles in the pre-revolutionary era. Guevara argued that countries such as Cuba should invest completely in production for economic development, and that because Cuba was at war, the revolutionary government had to ensure peoples’ access to food, but that soap and similar goods were non-essential. It is clear however, that his hostility to consumer goods was by no means specific to a war economy. Later, after the failure of the grandiose plans for economic growth that Guevara and other revolutionary leaders articulated, these ascetic politics came to be shared by the entire Cuban government leadership. They were soon consecrated in the Cuban revolutionary ideology as hostility to the “consumer society” of the economically developed world, a view that was never part of the ideology of the pre-revolutionary Cuban left, Communist or otherwise. It was therefore entirely fitting that during the Cuban economic cycles associated with the spirit and politics of Guevara, the emphasis was always on capital accumulation instead of increased consumption. This was the case, for example, with the Guevarist-type economic period of 1966–1970 (shortly after he left the Cuban government). As the prominent Cuban economist Carmelo Mesa-Lago points out, at this time the national plan called for a sharp increase in national savings that was to be generated by a cut in consumption through the expansion of rationing, the export of products previously assigned for internal consumption, and the reduction of imports considered unnecessary. 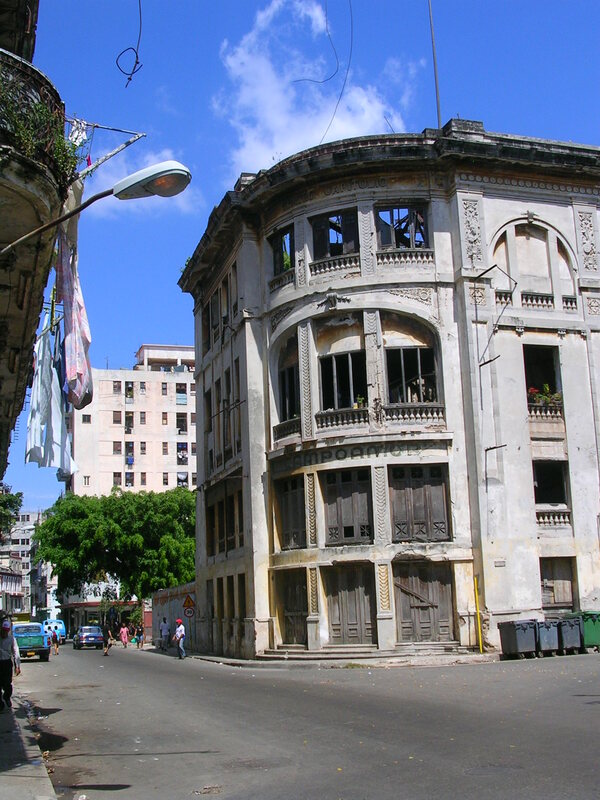 Until the collapse of the Soviet bloc, the Cuban government was able to deliver for the majority of its people an austere standard of living that, on the whole, guaranteed a minimum of economic security and the satisfaction of basic needs, in spite of serious deficiencies in areas such as housing and consumer goods. Notwithstanding the serious problems and contradictions of a Soviet-style economy, this was made possible by the USSR’s massive economic subsidies, which helped the Cuban government finance a generous welfare state with an extensive education, health services, and social security system. These massive subsidies were the result of Cuba joining the Soviet state as its junior partner in an international alliance that did confront strategic obstacles in Latin America (because the USSR was reluctant to challenge the US in its own sphere of influence), but that ended up being much more viable and successful in Africa despite some tactical differences. Although overall literacy was at 76.4% before the revolution, it was much lower in the countryside; the government has succeeded in almost entirely wiping out illiteracy. It has also expanded secondary and higher education, promoting a substantial degree of social mobility facilitated by the massive emigration from the island of its upper class and large segments of its middle classes. The dramatic enlargement of the military also allowed for the rise into officialdom of many Cubans of humble origin. Black Cubans in particular benefited, with the elimination of the informal but substantial racial segregation that had existed in pre-revolutionary Cuba, especially in the area of employment. Racism was by no means eliminated. The Cuban government, implicitly identifying racism only with its segregationist form, soon declared the problem solved, with policies of “affirmative action” not even considered, in a context where blacks were not allowed to organize independently to defend their interests. In general, however, Cuba became a more egalitarian society, attaining in the mid-1980s a Gini coefficient of 0.24 (although this measure also suffers from the political access problems discussed above). It was this, along with the growth of a nationalist and anti-imperialist consciousness that ensured a large base of popular support for the government. At the same time, however, critical voices even inside the Castro administration were systematically suppressed, and political dissidents (as well as petty offenders — Cuba has one of the highest imprisonment rates for common crimes) were jailed in large numbers. The collapse of the Soviet bloc provoked a massive economic crisis, reflected in the quick and sharp 35 percent GDP drop. Cubans went very hungry in the first half of the nineties, the worst years of the crisis, leading to serious nutritional deficiencies that provoked an outbreak of optical neuropathy in 1991 that affected more than fifty thousand people until it was partially controlled in 1993. Services such as public transportation went into a tailspin, from which they have only partially recuperated. Inequality has grown significantly, particularly between those with and without access to the hard currency provided by remittances from abroad. Real wages in the public sector, which still accounts for at least 75 percent of the labor force, dropped precipitously, and as late as 2013 they had only reached 27 percent of 1989 levels. The “Special Period” also had a noticeable impact on the health care system, reducing the gains achieved in the previous thirty years. There are shortages of medical supplies and of family doctors and specialists, who are often working abroad as a part of international programs. Patients have to even bring their own bedding to the hospitals, and “gratuities” to medical personnel have become increasingly common. Teachers have fled the education field in search of higher wages in other sectors such as tourism; at one point the government even tried to replace those educators with television sets and quickly trained high school graduates, with predictably negative results. The system of social security, which made great advances in the 1960s with universal coverage and the unification of the previously existing patchwork of pension and retirement plans, went into a sharp crisis as the peso-denominated pensions fell to a fraction of their previous purchasing power. Supporters of the government, especially abroad, continue to defend the system as if nothing happened during the last twenty-five years, and keep pointing to poor countries such as Haiti — which were worse off than Cuba before the 1959 Revolution — as evidence of how better off Cuba is. But for the most part, the Cuban people are not comparing their standard of living to those of other less developed countries. Older Cubans are much more likely to compare their current hardships with the greater security and predictability they experienced before the Special Period, and remember nostalgically the early 1980s when the opening of the farmers’ markets, after the mass exodus from the Port of Mariel in spring 1980, allowed Cubans to reach perhaps their highest living standards since the 1960s. For many Cubans, and particularly for the disenchanted young who are keenly aware of contemporary cultural trends in fashion, music, and dance, the existence of a large Cuban-American community in South Florida has also become a major standard of comparison. And the nascent critical left in Cuba — like the oppositionists of the 1940s and 1950s — does not celebrate, in the manner of the official Communist party press and foreign supporters, Cuba’s good performance in the HDI. Instead, it is trying to organize under extremely difficult conditions, on behalf of the political liberties necessary to defend the standard of living of the Cuban people and open up the possibility for a popular and democratically self-managed economy and polity. It is unclear to me at this time specifically who or what organization assembled this listing. It brings together collections on Cuba from many parts of the world and in particular the Biblioteca Digital de la Biblioteca Nacional José Martí or BNJM at http://www.bnjm.cu/bdigital.htm It was brought to my attention through a Facebook posting by Haroldo Dilla a few days ago. La expedición del Almirante Vernon a la Habana. Documentos. 1744. (IA). A letter to the honourable Edward Vernon. John Cathcard. 1744. (IA). Combate naval, 1744. Planos. I – II – III. (CAE). Original papers relating to the expedition to the Island of Cuba. Edward Vernon. 1744. List of the Vernon-Wager manuscripts in the Library of Congress. 1904. (HDL). Diario de operaciones del sitio de la Habana en 1762. Juan de Prado. 1762. (BDH). 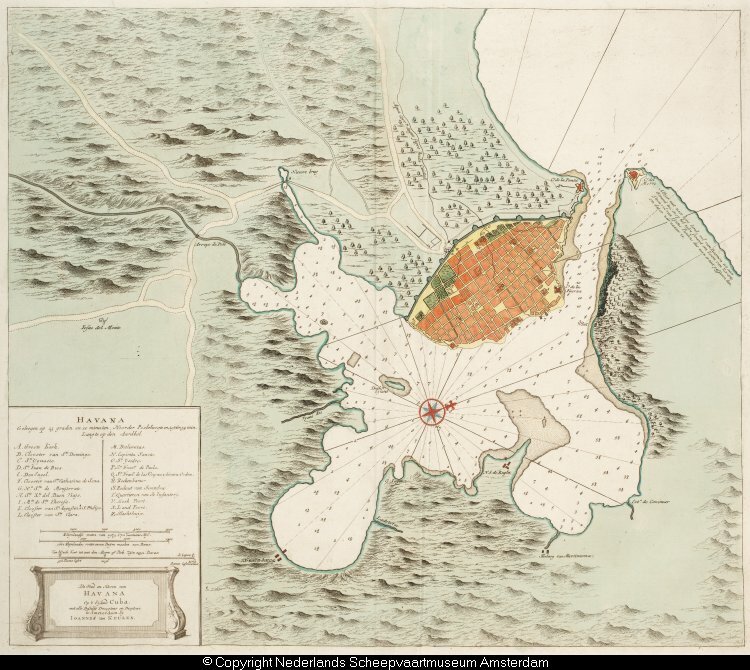 El sitio de la Habana por los ingleses en 1762. Documentos. Juan de Prado. 1762. (BDH). El sitio de la Habana, 1762. Informe del marqués del Real Transporte. Luis de Velasco. 1762. (BDH). La invasión de la Habana. Documentos. Sociedad Patriótica de la Habana. 1837-1839. (GB). Sitio y rendición de la Habana. 1762. Jacobo de la Pezuela. 1859. (GB). Sitio y rendición de la Habana. 1762. Francisco de Paula Pavía. 1855. (GB). Historia de la conquista de la Habana (1762). Pedro J. Guiteras. 1856. (HDL). Guerra contra la Gran Bretaña: la Habana, 1762. Antonio Ferrer del Río. 1856. (HDL). The siege of Havana. Journal. Rev. John Graham. 1762. (IA). The siege of Havana. Documents. 1762. (IA). The Havana expedition of 1762. Asa B. Gardiner. 1898. (HDL). Diaries and sketches in America (1762-1780). Archibald Robertson. 1930. (HDL). Accounts of the siege and surrender of the Havannah. John Campbell. 1762. (HDL). Letters from a Sailor at the Havannah. 1762. (HDL). The conquest of Cuba in 1762. C.C. Hazewell. 1863. (AM). Memoire sur la Havanne. M. Valliere. (manuscrito). 1763. (RAH). Proceso contra capitán de artillería de la plaza de la Habana. 1764. (BDH). Papeles sobre la toma de la Habana por los ingleses. Archivo Nacional de Cuba. 1948. (BDC). 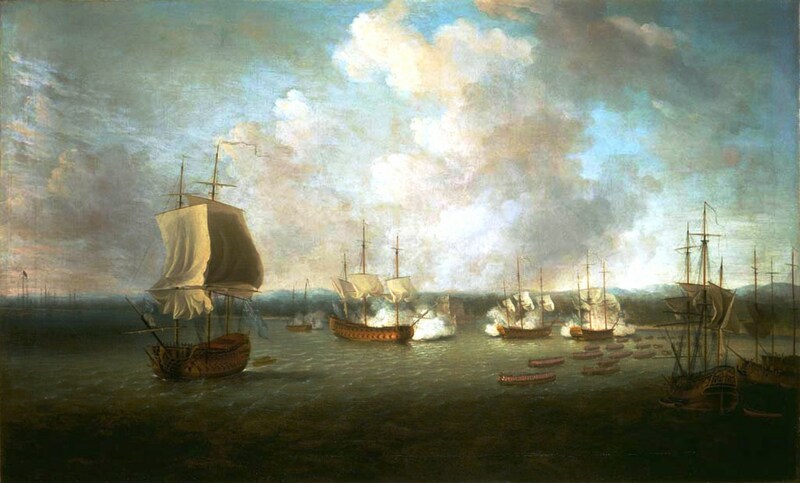 The capture of Havana. Dominic Serres. 1762. (E). Plan of the siege of Havana. 1762. (LC). Documents. U.K. National Archives. (NAUK). Mapas de Cuba (154 registros). Gallica. Biblioteca Nacional de Francia (BnF). Mapas de Cuba (28 registros). Institut Cartogràfic de Catalunya (ICC). Mapas de Cuba (14 registros). Biblioteca de Catalunya (BC). Mapas de Cuba (28 registros). Europeana (E). Mapas de Cuba (370 registros). Biblioteca Digital del Caribe (BDC). Mapas de Cuba (70 registros). IC Biblioteche Italiane (IC). Mapas de Cuba (115 registros*). Library of Congress (LC). (*Escribir la palabra Cuba en el Buscador). Mapas de Cuba (123 registros*). Hispánica. Biblioteca Nacional de España (BDH). (*Escriba la palabra Cuba en el Buscador y marque las casillas material cartográfico y material cartográfico manuscrito). Mapas de Cuba (9 registros*). Real Academia de la Historia (RAH). (*Escriba la palabra Cuba en el Buscador y marque las casillas cartografía y artes gráficas). Administración del comercio, rentas y gastos de la Isla de Cuba. Ramón de la Sagra. 1834. (BVMEH). La Isla de Cuba, considerada económicamente. Ramón Pasarón y Lastra. 1858. (GB). Colección de escritos sobre agricultura, industria (…). Francisco de Frías. 1860. (HDL). Algunas reformas en la Isla de Cuba. 1865. (HDL). Reformas en Cuba. Información. 1867. (HDL). Estudios sobre la crisis monetaria en la Isla de Cuba. Emilio Marín. 1873. (BDH). La cuestión económica. M. Pacheco. 1874. (BDH). La Deuda de Cuba: medios a adoptar para su amortización. Manuel Asensio. 1874. (BDH). Cuba y el Libre Cambio. G. S. 1879. (BDH). Las reformas económicas en Cuba: recopilación de artículos. Federico Giraud. 1879. (BDH). Presupuestos Generales de la Isla de Cuba. Examen Crítico. Servando Ruiz. 1880. (BVMEH). El empréstito de Cuba: su presente, pasado y porvenir. José de Ruete. 1880. (BDH). Estudios económicos sobre Cuba y España. M. de E. 1880. (BDH). Administración Económica de la Isla de Cuba. Proyecto de Reforma. José M. Arrarte. 1881. (BVMEH). Estudios sobre la cuestión económica de la Isla de Cuba. José Quintín Suzarte. 1881. (BDH). Cuba: its resources and opportunities. Pulaski F. Hyatt. 1898. (HDL). Comercial Cuba: a book for business men. William J. Clark. 1898. (IA). Historia de las instituciones locales de Cuba. Francisco Carrera y Jústiz. 1905. (BDH). Censo de la República de Cuba. 1908. (HDL). Anuario Estadístico de la República de Cuba. 1914. (HDL). Cuba. Guaranty Trust Co. 1916. (HDL). The Republic of Cuba. L.&.S. Co. 1916. (IA). Industrial Cuba: possibilities and opportunities. L.&.S. Co. 1916. (IA). Agricultural Cuba: possibilities and opportunities. L.&.S. Co. 1916. (IA). Cuban Investments. L.&.S. Co. 1916. (IA). Guía Comercial e Industrial de Cuba. 1929. (ML). El latifundismo en la economía cubana. Raúl Maestri. 1929. (HDL). El problema económico de Cuba. Gustavo Gutiérrez. 1931. (BDC). Las crisis económicas de Cuba y sus relaciones con el comercio de EE.UU. Ramiro Guerra. 1935. (BDC). Tesoro del agricultor cubano. Francisco J. Balmaseda. 1887. (BDH). Catecismo de agricultura cubana. Eugenio de Coloma. 1863. (BDH). Lecciones de agricultura. Manuel Pruna. 1879. (BDH). Fisiología de la Isla de Cuba. Jules Lachaume. 1878. (BDH). Lecciones de agricultura, economía y comercio. Victorio R. Ventura. 1882. (BDH). Nociones de agrimensura de la Isla de Cuba. Esteban Pichardo. 1863 (E). Apuntes acerca de varios cultivos cubanos. Álvaro Reinoso. 1867. (GB). Ensayo sobre el cultivo de la caña de azúcar. Álvaro Reinoso. 1865. (GB). Cuban cane sugar: a sketch of the industry. 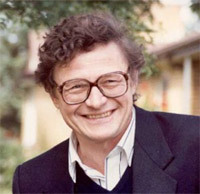 Robert Wiles. 1916. (IA). The history of cuban sugar. Philip K. Reynolds. 1914. (BHL). Cultivo, comercio y elaboración del tabaco en Cuba. Memoria. 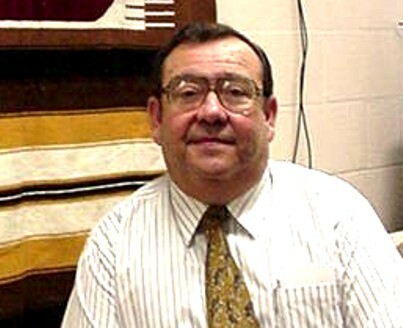 José Fernández. 1821. (BDH). Cartilla agraria para el cultivo del tabaco. Tomás de Salazar. 1850. (BVPB). Memorias sobre el tabaco de la Isla de Cuba. Un amigo del País. 1852. (BDH). Cultivo del cafeto. M. Laborie. 1804 (BDH). 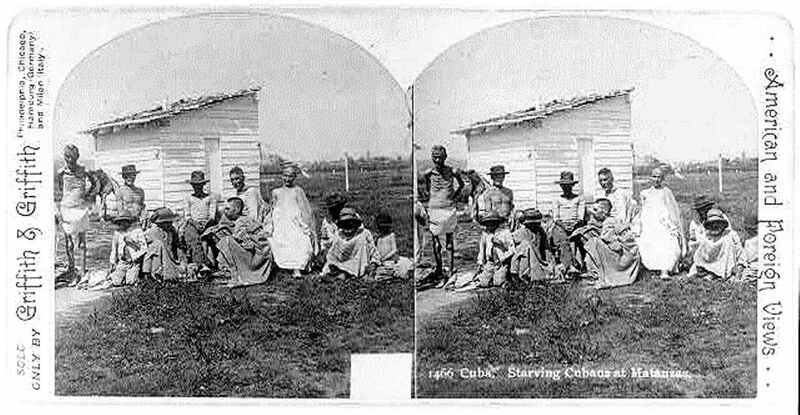 Memoria sobre el cultivo del cafeto en la Isla de Cuba. 1827. (BDH). Cultivo del cacao en la Isla de Cuba. 1833. (BDH). Introducción sobre el cultivo del cacao. Pedro Santacilia. 1849. (BDH). The Agriculture of Cuba. Paul G. Minneman. 1941. (HDL). Manual del apicultor. José R. de Villalón. 1867. (HDL). Cría de abejas y cultivo de la cera. Memoria. Eugenio de la Plaza. 1797. (HDL). A guide to the bee-keeper. Cuba. A. I. Root. Co. 1903. (IA). Fishery resourses of Cuba. 1947. (HDL). Manual de fabricación del Aguardiente de Caña. Leopoldo García. 1855. (BDH). Régimen de montes y reservas forestales de Cuba. Reglamento. 1923. (BDC). From the 1790s to the 1820s most Latin American countries started struggles that led to independence while Cuba remained a colony long afterwards. We will show how unique economic conditions, a transformation in the nature of slavery and the economic and political incentives associated with the Spanish special relation together led to the delay of independence for Cuba. Ironically, we will show how present unique economic conditions, current social cleavages and economic and political incentives associated with the US special relation together raise the probability of a similar delay in a transition to a democratic market economy. Awareness of the existence of these factors may help prevent or at least shorten such delay. Most Latin American countries became independent from Spain at the beginning of the 19th century. These events were made official through declarations of independence for areas similar but not identical to current geographical arrangements or for larger territories, comprising several current countries that later separated into the countries we know today. These declarations took place between 1804 (Haiti) and 1825 (Bolivia and Uruguay). Cuba, on the other hand, became independent officially in 1902. In the first section of this essay I will highlight Cuba’s incentives to remain a colony. 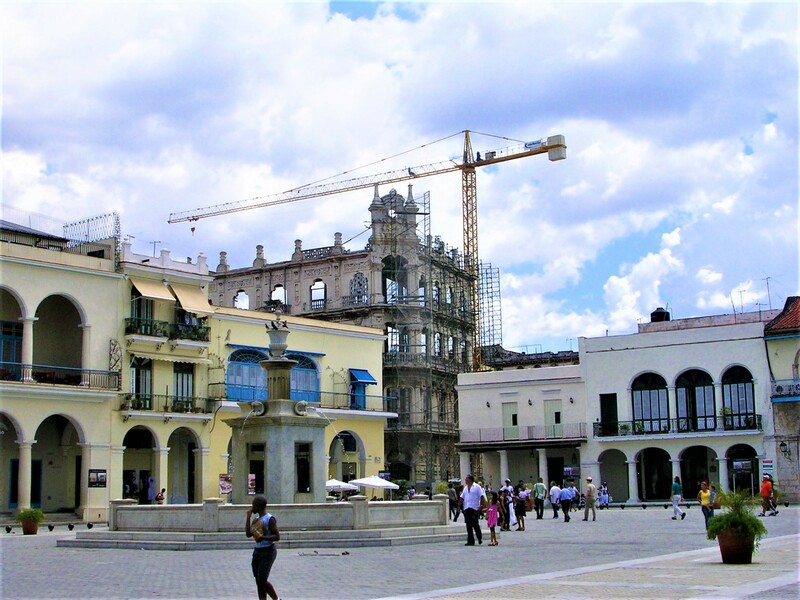 They arose as the confluence of three factors that affected Cuba differently from other Latin American countries between the 1790s and the 1820s. These factors were unique economic conditions associated with Cuba’s sugar exports, the transformation of slavery during this period associated with the Industrial Revolution, and the evolution of economic and political incentives granted by the Spanish Crown which is associated with the so-called special relation between Cuba and Spain. Subsequently, in Section 2, I will provide a succinct discussion of the immediate implications of remaining a colony after Cuba’s main window of opportunity for independence ends. 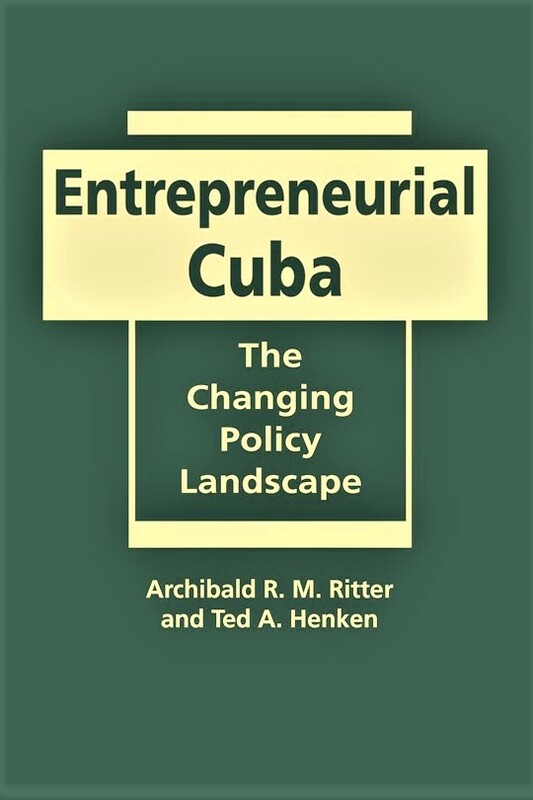 One of the ironies of the current situation in Cuba is that it represents a critical historical juncture, just like independence did about 200 years ago, and the factors affecting the evolution of the economy and the political system can also be thought of in terms of incentives, i.e., incentives to remain a nondemocratic ‘mixed’ market economy. These factors also fall into three distinct but related categories: unique economic conditions, social cleavages arising from previous history, and the special relation between Cuba and the United States. The third section of the paper discusses these factors in detail and their implications for the current situation. While I don’t believe that history is necessarily destiny, one way of avoiding this outcome is to be aware of the lessons offered by historical processes. Summing up, Cuba is again at a critical historical juncture. In this one the current economic situation is forcing the introduction of significant reforms that improve civil liberties associated with economic activities without much change in political rights. Prospects of an oil bonanza materializing in the next few years, however, lessen the need for further economic reforms and increase the incentives to repress political rights. Racial differences provide a persistent social cleavage accentuated by a more recent one between the Diaspora and the non-Diaspora. Ironically, blacks are likely to feature prominently in the leadership of a move toward a democratic market economy. Unfortunately, incentives toward remaining a nondemocratic ‘mixed’ market economy suggest that this path toward ameliorating racial discrimination is unlikely to arise out of the current ‘transition’. Meanwhile the antagonistic special relation with the US provides a convenient setting for evolving to a nondemocratic ‘mixed’ market economy. Just as it happened 200 years ago, the choices made at this critical juncture are likely to affect outcomes long afterwards. In the current juncture, however, one notable outcome of the joint operation of these three factors is delay in the enjoyment of the political rights and civil liberties associated with democracy by Cuban citizens.